December 21, 1940-January 20, 2019 APPLE RIVER, Ill. — Laurence J. “Larry” Loete, 78, of Apple River, Ill., formerly of Moline, peacefully passed away Sunday, Jan. 20, 2019, at his home surrounded by family. Per his wishes, cremation rites were accorded. A celebration of life gathering will be 3-5 p.m. Saturday, Jan. 26, 2019, at Wheelan-Pressly Funeral Home and Crematory, Rock Island. In the Spring of 2019, a tribute to Larry will be celebrated in the place he called home, Apple Canyon Lake, Apple River, Ill. Memorials may be made in care of Karen Loete, who will establish a memorial to the Bass Club at Apple Canyon Lake. Larry was born in Moline on Dec. 21, 1940, a son of Albert and Lois Suiter Loete. He married Karen Eleopulos on Dec. 22, 1974, in Moline. Together they raised five children. Larry worked various positions over his 32 years at Deere and Company, retiring as a supervisor in 1998. Together, Larry and Karen built a cozy home at Apple Canyon Lake, where they enjoyed spending their weekends before making it their permanent residence upon retirement. As their family grew, so did their home. Over the years, Larry and Karen built a long-lasting legacy of love and memories. Family was most important to Larry, and his memory will live on forever. Larry was an avid fisherman who took pride in teaching his children and grandchildren his secrets. 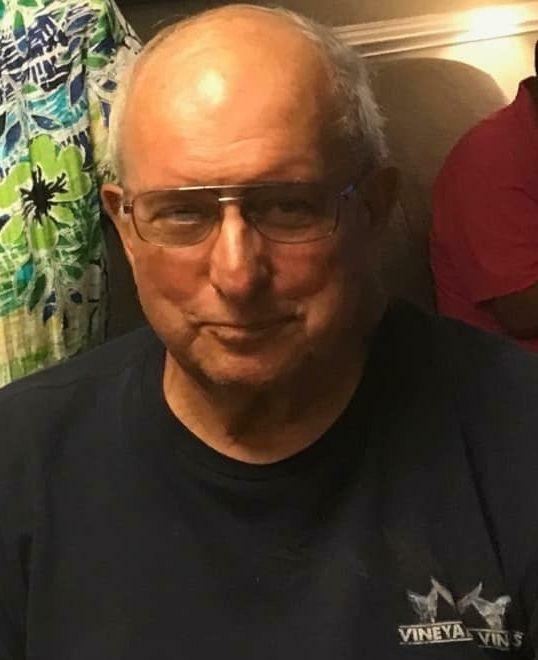 He also enjoyed hunting, playing darts, watching football and having a nice glass of cold olive soup “martini.” Those left to cherish his memory include his wife of 45 years, Karen Loete, Apple River; children (and spouses), Jeffrey (Brenda) Loete, Moline, James (Geri) Loete, Milan, Jenna (Alex) Wolfert, Coralville, Iowa, Jill (Kevin) Pritchard, Antioch, Ill., and Janelle Loete-Brown, Rock Island; grandchildren, Brittney (Joe) Perez, Rock Island, Sara Loete, Evansville, Ind., Lars and Alex Pritchard, Antioch, Ill., Andrew (Jessica) Witte, Rock Island, and Jeremy and Keri Witte, both of Milan; great-grandson, Collin Perez; siblings, William (Sharon) Loete, Laura (Elmer) Rummans and Mary (Craig) Meier, all of Lawrenceburg, Tenn.; sister-in-law, Joann Loete, Moline; and several nieces, nephews, extended family and great friends. He was preceded in death by his parents; brother, Albert; and grandson, Brandon Witte.